I'm in Trier where the whole city is trying to cash in on the 200th birthday of Karl Marx (born here in 1818). 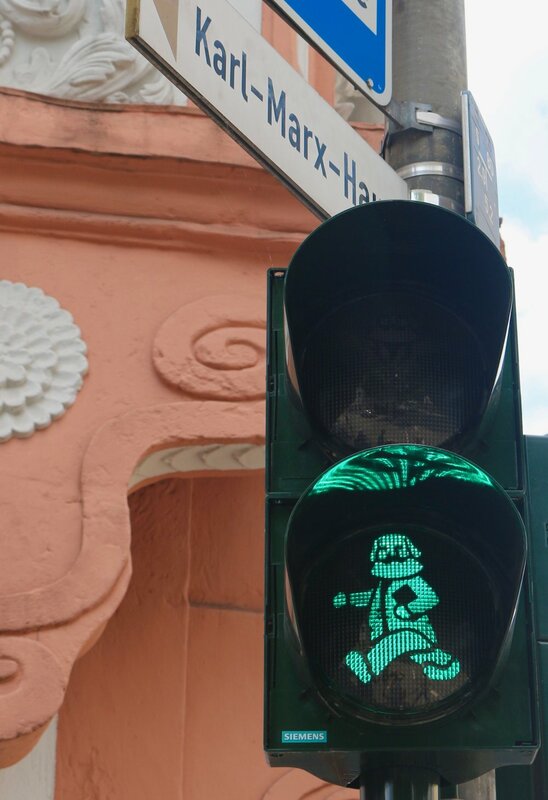 Near the Karl Marx Haus the town has changed the Ampelmänchen to be little Marxes and there are scattered images of him everywhere. 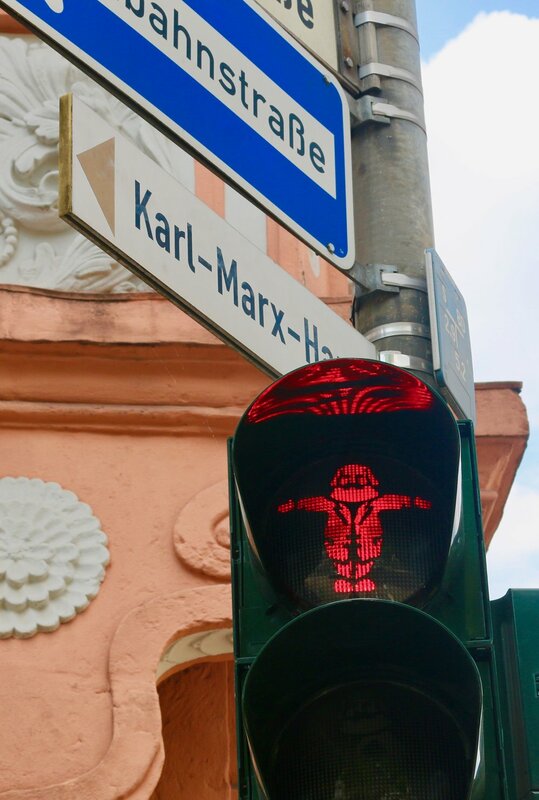 The tourist shops are filled with Marx-themed souvenirs, and even the local retailers are using his face to lure would-be shoppers into their stores. I'm not so sure Marx would have appreciated this.